11 APRIL 2019 (SOURCE: THE GUARDIAN) – The Sudanese army will make an “important statement soon”, state television and radio announced on Thursday morning, as thousands of protesters camped outside the military headquarters in Khartoum demanding the resignation of President Omar al-Bashir. State media offered no further details, as the rally outside the army complex in the capital entered its sixth day. A Reuters reporter said military vehicles were deployed on key roads in the capital. As people waited for further word, state television and radio played patriotic music, reminding older Sudanese of how military takeovers unfolded during previous episodes of civil unrest. 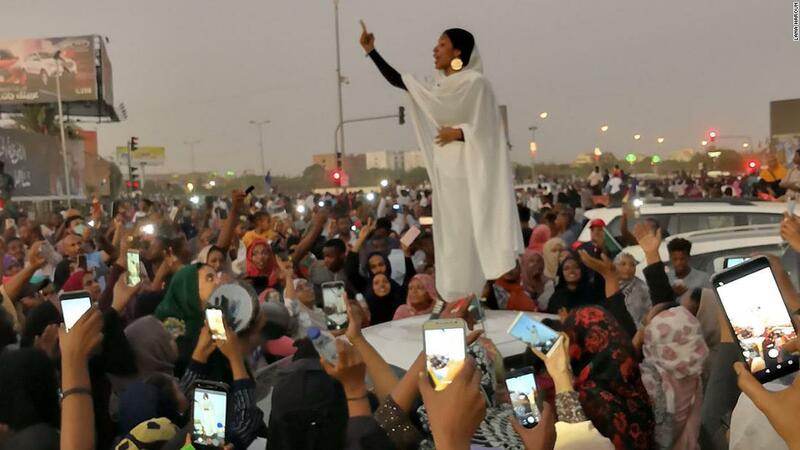 Protest organisers issued a statement vowing to remain in the streets until “the regime steps down completely and power is handed to a civilian transitional government”. “People are coming in droves,” said one onlooker. The country, one of Africa’s biggest and most strategically important, has been paralysed by months of protests against Bashir’s 30-year rule. His whereabouts were unknown on Thursday, amid unconfirmed reports that Khartoum’s airport had been closed. Since Saturday, thousands of people have camped on a crossroads in the centre of Khartoum, calling for Bashir to step down. Attempts by security forces to break up the demonstration have killed at least 22 – including five soldiers, who organisers said were defending the protesters – and injured more than 150.